After years of planning and construction, the MGM Springfield casino is now open. 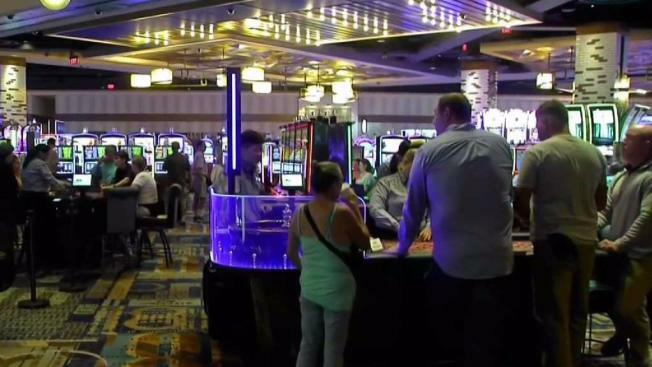 The state Gaming Commission said in a revenue report Monday the casino earned $2.1 million in gross revenues from table games and $7.3 million from slot machines from its Aug. 24 opening to Aug. 31. That translates to about $2.4 million in state revenues. Massachusetts assesses a 25 percent tax on the hotel, casino and entertainment complex's gambling revenues. MGM Springfield President Michael Mathis says the figures reflect the casino's "tremendously successful" opening, where more than 150,000 people visited in the first weekend alone. The state's other casino, Plainridge Park, meanwhile, generated $15.4 million in gambling revenues in August, of which the state collected $7.5 million from a 49 percent tax.